After our movie date, I was a little distressed with all the action in the movie and was utterly depressed. So Mr D knew one way to cheer me up, find a place for me to try and hope for the best that the food was awesome sauce. 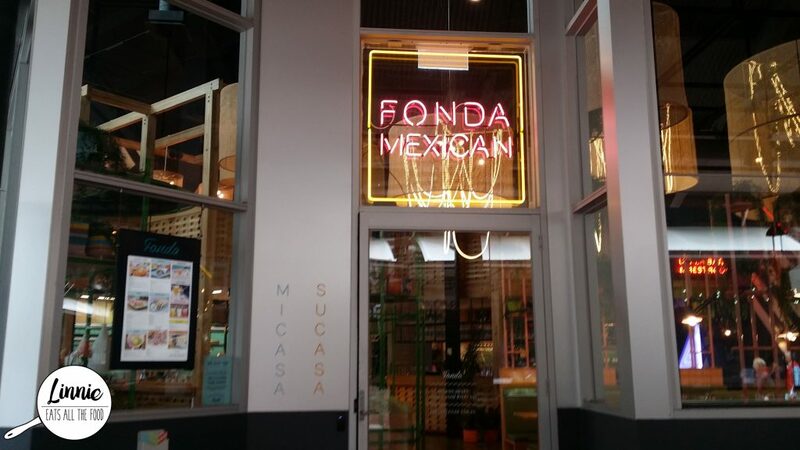 We walked past Fonda Mexican and I’ve heard about this but haven’t had a chance to try it and it seems that they’ve opened quite a few chains by now. So in we went and got ourselves a table. The decor was so bright and retro and it just makes you smile, bursting with energy. So the menus are on the table and once you’ve figured out what you wanted to eat, go up to the counter to put through and pay for your order and they’ll bring it out to your table. 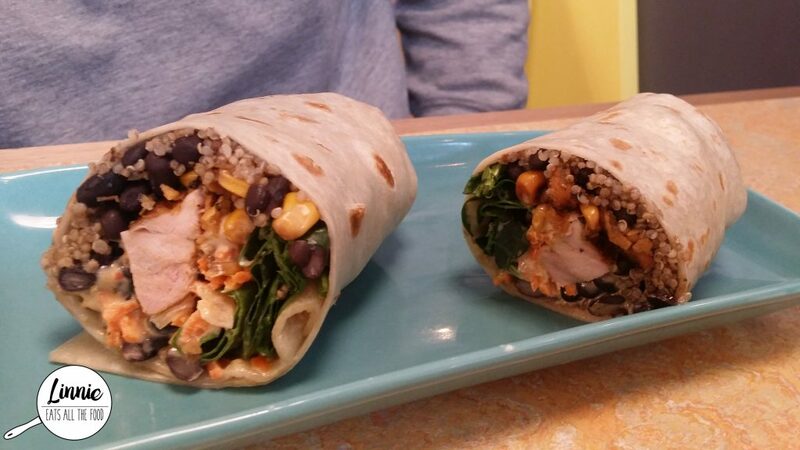 Mr D was famished and got the grilled chicken burrito and it was much more filling than he thought. This was comfort food right here. It was oh so tasty, the chicken had a lovely marinade and was not dry at all and everything was just absolutely delish. He loved it and keep in mind that he took all 4 wisdom teeth out 6 days ago and he made a point of eating the whole burrito because he loved it that much! 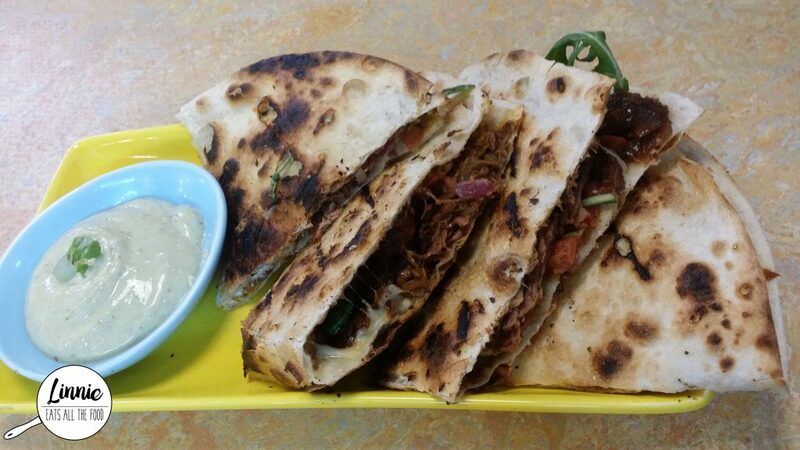 I got the beef brisket quesadilla and I got it everywhere on my hands. It was so juicy, saucy and most importantly, totes AMAZEBALL! I dipped my quesadilla into the aioli and it was perfect. I absolutely loved it and the portion size was GINORMOUS! I struggled to finish the whole thing. I absolutely adore Fonda and will definitely be back if I ever crave some mexican food or just food in general. Knox, you’ve got a little gem here and I’m totes jelly that I have to travel 25 minutes to get to it.